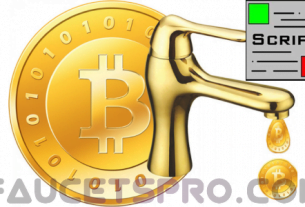 You can probably guess from the name how you monetize your website from this method. 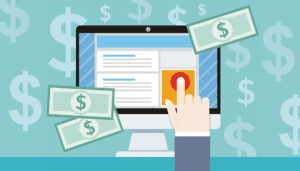 You get paid for every click a visitor makes on these ads. The provider will then send contextual ads to your site (either image or text-based) that are relevant to the content of your website. Google AdSense is the most widely used provider of this service, but there are many others out there like Bitmedia, Adhitz. 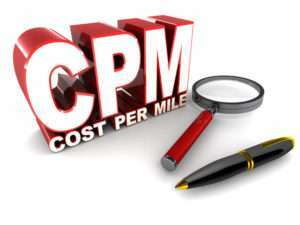 Pay Per Click (PPC) ads vary in profitability depending on the amount of traffic your website gets. Only a small percentage of people will click on these ads. So to earn a lot of money from them you will need a lot of traffic. The click-through rate (CTR) of your visitors depends on the design of your website. Certain parts of your website pages are more valuable than others. So to increase your CTR these PPC ads can be placed there. For example, space at the beginning and end of articles/blog posts are highly visible. So by putting a PPC in these positions may increase the chances of someone clicking on one. If on the other hand, you place these ads at the bottom of the page where nobody can see them, then nobody will click on them. This type of advertising allows you to place text-based ads within the text of your articles. For example, if you are writing an article about a certain software, you can place text-link ads within your posts that would refer your viewers to that particular product. You can’t just link to anything though, you need to sign up to that specific product affiliate advertising scheme or you can sign up for a specialized provider who will automate the service. Very similar to the above text link ads, ‘In-text ads’ are adverts that are placed inside your text content such as articles or blog posts. You can sign up to an In-text advertising provider that will place sponsored links within your text. These are double underlined to make them stand out from other links so that when a user moves the mouse over one of them a small advertising pop-up will appear. The user can then decide if they want to click on it, which will make you a small amount of money. Generally, these deals are worked out so that you display an ad for a fixed amount of time for an agreed fee with the advertiser. The downside of this method is that you need to commit time to manage the whole process with the advertiser and that your site needs to have a lot of traffic to be considered by advertisers. If you have an RSS feed (which you should!) then you can follow in the footsteps of millions of other website owners and start placing ads on it. Many RSS feed generators now offer this service, so that it is even easier to implement them. Some offer CPM or PPC advertising, however, you could opt to do it yourself and offer to sell sponsored messages or banners directly on your feed. You can find adverts for your RSS feed on BidVertiser that you can implement to monetize your feed, though Google FeedBurner lets you do this as well. Something that you may not have even considered, Pay per Play (PPP) are audio adverts that are played every time someone visits your website. The ads usually only last a few seconds, with the viewer unable to stop it. This creates a 100% conversion rate with unique visitors, so you get paid about $5 per visit, however, this method is very intrusive and may turn off your visitors, making them less likely to make a return visit. Another form of audio advertising that you could use is ‘Podcast ads’. 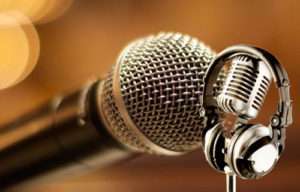 If you run a podcast on your website, perhaps a weekly update letting your listeners know everything that is new on your website, then you could choose to include advertising. I believe that this type is less intrusive than the former because your podcast would just seem like a short radio show with commercial breaks. As long as you don’t go overboard with the number of adverts, then this may be a method that could use to monetize your blog. No doubt that you have heard of these! Pop-ups are very common online, but they are also very annoying. Many people hate pop-ups and have pop-up blockers installed to stop them. However, if executed in the right way, they can work. Having a single pop-up on your website that only appears to new visitors may work. They grab the attention of the visitor on their first visit and after that, they won’t be bothered again by them. If done right this, the method is a great way to monetize your blog. Many of the previous methods can be used as affiliate marketing methods, but often a review of a product can work just as well. For example, if you have a gardening website you could research affiliate programs that contain products related to gardening. Perhaps someone wants people to advertise their new lawnmower product, you could write a blog entry ‘What’s the best lawnmower for my garden?’ and at the end, you could promote the affiliate product. With this type of advertising, you can get a commission for every sale that resulted from your recommendation. You refer viewers from your site via recommendations, banner ads, text link ads, etc., which takes them to the product page. If they buy, then you get a commission. This is often worked out on a percentage of the sale price, maybe 10-20%, sometimes more (I’ve seen products offer 75% commission) depending on the individual product. Basically the same as Affiliate Marketing, but more obvious. You can write detailed reviews about products and publish them on your site. Obviously, it is better to review products that are related to your website, as you are catering to your target audience. There is no point writing a detailed review about a solar panel for your roof if your website is about scuba diving. Many people can build a website solely around product reviews, writing about a variety of subjects such as hotels, holidays, cars, gadgets, films, etc. 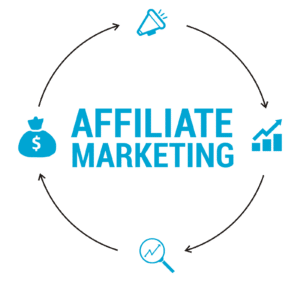 If that product has an affiliate program, then you can make quite a bit of money from it. You could write an eBook about almost anything. Maybe you are good at DIY, you could write a book about renovating your house that people might find useful. You can then sell it through the Apple store or on Amazon. This could be a continuation from writing an eBook. If you are a good writer you could publish your book in Hardback or paperback form. You could sell this on your website and send a copy to buyers. This method is usually only successful for authors that have an existing following. 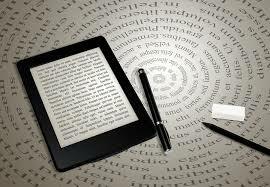 An author may have a successful book that they then build a website around to promote it to a global audience. It can work the other way, however. Many people have built a successful blog first and then written a book that has sold well. If you are a good writer then this could be a good option for you. You can then find a self-publishing site, such as iUniverse that lets you publish your very own book. The internet is a great place to find information. Everyone searches for tutorials detailing how to do something. You are reading a guide yourself on ’30 ways your website can earn you money’ right now! I myself know very little about cars, so I would find tutorials and guides useful explaining technical things that I don’t know. For example, a guide listing ‘Help on buying a new car’ or ‘How to service your own car’ would be very useful. Everybody knows something that they could teach to another, so why not write about it and publish it on your own website. If its a particularly popular niche that you are writing about, then you could attract a lot of traffic! The next step from writing tutorials would be to create an online teaching course. You could charge people a membership fee (see #22) or a fixed amount for joining a course that you have set up. These courses could be about anything and could include podcasts, videos, tutorials, etc. For example, you may be an expert photographer. You could set up a 2 week online training course detailing how to be a better photographer. Email marketing can generate you lots of money. The key is to build a large email list of your customers/visitors. When people register to become a member, you get their email address. When people sign up for your weekly newsletter, you get their email address. The more ways there are to get someone’s email address the better. With an email list, you can build a brand, recommend products, promote any events/workshops that you may be holding and more importantly to can encourage people to keep returning to your website. 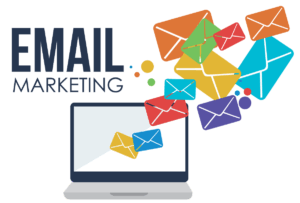 Email marketing isn’t a direct way of making money, but it is a powerful way of increasing your income from your other methods by driving traffic back to your site. Just don’t go overboard with emails so that they are viewed as spam! Nobody likes spam! If you have spent time making your OWN custom template or theme, then you can consider selling it. An increasing amount of people are making their own website, therefore there is a demand for more templates that people can use. 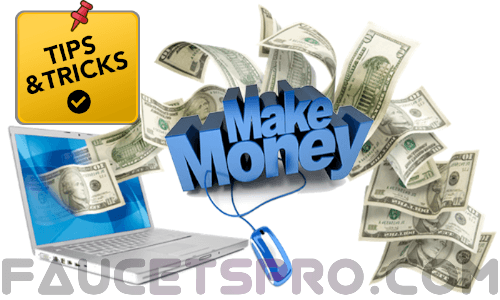 The amount of money that you can make from this method depends on your website skills. A high-quality template can be sold for as much as $100+ but that is the top of the range themes. If you have a skill for making these then you could build a small business around making and selling them. This website runs on a theme that was purchased. The professional themes at Themes is a great place to buy high-quality templates. A method that a lot of people don’t even think of, Donations can provide an alternate source of income from your website. You can get a donate button from PayPal to place on your site and ask people to donate a small amount to you for the service that you provide. This method is a good way to generate some income if you have a small website, you could ask people to donate an amount to help you pay for the upkeep of the website. This method can work for much larger sites as well, generally, sites that offer helpful information to its users can benefit from this method as it allows readers to donate a small amount of money if they feel that you have helped them in some way. Some people may not like the idea of this, but the advantage of this method is that it can be easily set up and left. 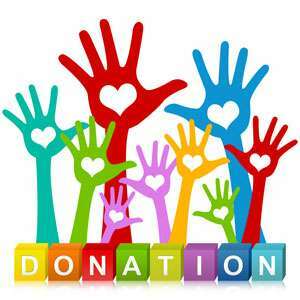 If people want to donate anything then they can, if not they don’t have to. You’ll be surprised how many people are willing to give you some money if you have genuinely helped them. Why not buy me a coffee!